Simulinc specialises in consultancy solutions for flight simulators in the military and aviation sectors. 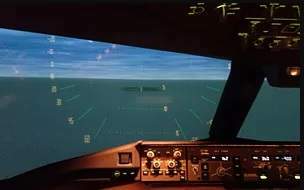 We offer consulting services on flight simulator standards to the Australian Department of Defence (ADF), New Zealand Defence Force, Canadian Defence Force and the Australian Civil Aviation Safety Authority (CASA), and have been approved by the Royal Australian Air Force for conducting flight simulator accreditations. Simulinc’s flight simulator evaluation (SIMEVAL) course lasts for seven days and features discussions and lectures on aerodynamics, the purpose of aerodynamics testing in a flight simulator and the seven subsystems that comprise a flight simulator. These consist of computer, motion, visual, sound, control loading and flight deck systems, as well as an instructor operating station. SIMEVAL courses are both CASA-approved and ADF-recognised. They are specially designed to meet customer requirements with details of FSD-1, manual of criteria for the qualification of flight simulators (MCQFS), joint aviation requirements (JAR), European aviation safety agency (EASA) and the US federal aviation administration (FAA) standards accordingly. 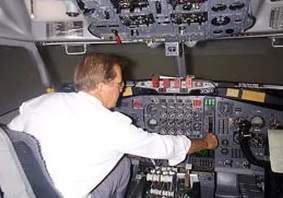 Conducted by qualified Simulinc staff, the course is mainly intended for flight simulation training technical staff or supervisory flight crew although a flight crew background is not essential. However, we do recommend undertaking a guided pre-course aerodynamics study beforehand. As well as consultancy services for the application of flight simulators in aviation training, we also offer a customised training course on your premises, using your simulators to match your specific training requirements. 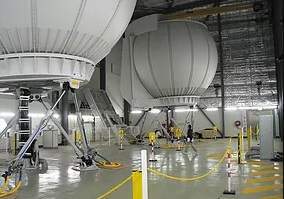 Simulinc staff have produced Australian simulator standards documents and given aircraft simulation lectures at the University of New South Wales (UNSW). We have served as delegates to both the International Working Group and the working group that formulated the current flight simulator standards for Australia (Manual of Standards part 60). We are familiar with the latest ICAO, EASA and FAA publications, as well as their background and debates. Simulinc’s services have been used by organisations such as Australian Science and Technology Organisation, Civil Aviation of Papua New Guinea (PNG), College of Aeronautical Engineering (CAE), Air New Zealand, Virgin Australia, Austrian Airlines, Saudi Arabian Airlines and the Department of Civil Aviation Malaysia. Established in the early 1990s, Simulinc is an Australian company specialising in consultancy for flight simulator operational use. 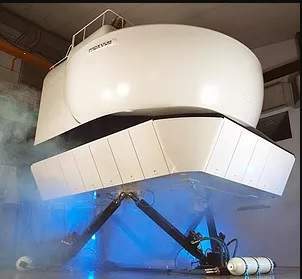 We have more than 30 years of experience with flight simulator standards, enabling us to advise and inform on simulator standards and requirements at national and international standards. We have also received evaluation training approval for inspectors from the Australian, New Zealand, Brazilian and Malaysian regulatory authorities. Simulinc staff have extensive experience in military and civilian fixed and rotary-wing aircraft, along with involvement in assessing and evaluating flight simulator standards.